A selfless Melton man has been awarded an OBE (Order of the British Empire) in the New Year’s Honours list in recognition of his services to the community. Former county councillor for Melton south and retired Defence Animal Centre (DAC) commandant Lieutenant Colonel Peter Roffey was told today (Wednesday, December 31) that he’d be given an OBE medal by the Queen, likely to be presented at Buckingham Palace. An overwhelmed Mr Roffey said: “I’m absolutely astounded and amazed by the news. “I’d received a letter back in November from the Cabinet Office and on it was a message from the Prime Minister. “It explained I’d been considered and recommended for an OBE for services to the community. However, at the time I was very ill and found it hard to concentrate so I misread what it said. “I heard from people last week telling me I’d been offered the honour and the letter said would I accept it. Peter said he was awaiting confirmation as to when he would collect his medal but said the recognition embraces his whole career in the military and the council. Mr Roffey has worked tirelessly to serve both his country and his community. He served as a county councillor for 16 years and a Melton borough councillor for a four year period. He is a retired Deputy Lieutenant of Leicestershire and former county president of the Royal British Legion. 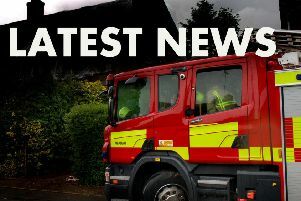 He remains president of the Melton branch and was formerly a member of the Leicester, Leicestershire and Rutland Combined Fire Authority from 1997 becoming chairman in 2001. He used to be Commandant of the Royal Army Veterinary Corps (RAVC) centre in Melton and Commandant of the DAC. Residents have taken to social networking site Twitter to congratulate him on his latest achievement. Mr Roffey will remain busy in the town as chairman of the feoffees of the Town Estate and in various other roles.